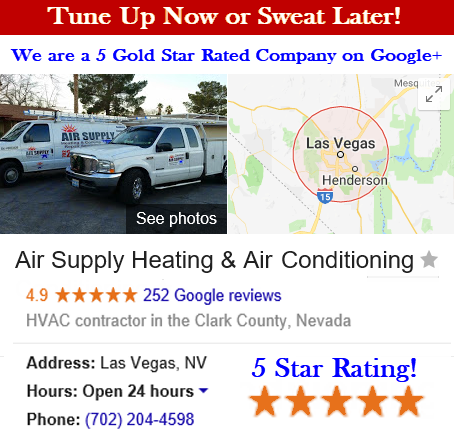 Being a full service HVAC system contractor, Air Supply Heating and Air Conditioning is catering to commercial businesses and residential homes across the Greater Las Vegas, Nevada area. 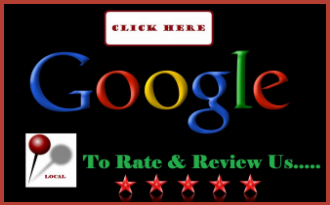 We are completely licensed and insured to provide our professionals expertise at affordable prices. With our top priority being our valued customers, we excel in customer service, and consistently apply morals and standards to our quality services. 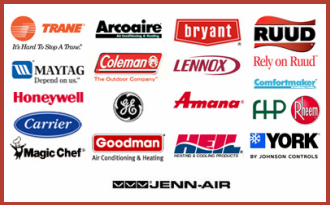 Air Supply Heating and Air Conditioning recruits the elite of the industry and utilizes high-end products and equipment to ensure maximum results. 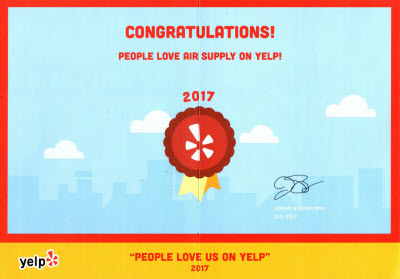 Air Supply Heating and Air Conditioning handles the troubleshooting for your Las Vegas, Nevada Valley home or business in the central air conditioning system. The air conditioning fans are a primary component and as they perform with continue function, their performance can wane. Generally, the air conditioning fans can be repaired and replaced pretty easily, and with Air Supply Heating and Air Conditioning running the diagnostics, we can quickly find and resolve the issues with your air conditioning fan. 1) Abnormal Sounds: The slight ticking, rattling, or buzzing coming from the fan area is often ignored as long as the air conditioning functions. But when these sounds are present, they are indicators of more serious problems down the line. The first thing Air Supply Heating and Air Conditioning will inspect any obstructions that might be hitting the fan blades as they turn or to ensure the blades aren’t bent. The motor or bearings that turn the blades result in buzzing and humming and they can be problematic. No matter what the problem is, after the visible inspection and system diagnostics is complete, Air Supply Heating and Air Conditioning technicians will make the necessary adjustments, repairs, or replacements for your air conditioning fan. 2) Inoperable AC Fan: When the fan doesn’t start up at all it could be something as simple as a setting on the thermostat and the setting is switched to “cooling”. If that adjustment doesn’t start the fan, Air Supply Heating and Air Conditioning team will check for signs of overheating or a damaged fan motor. 3) Intermittent Starts & Stops: If your central air conditioning fan is sporadically starting on and off or shutting down in the middle of a cycle, the likely cause is faulty wiring or once of the components has become loose. 4) Slow Function: For the air conditioning fan to run efficiently, optimal speeds have to be in motion. Noticing the blades turning distinctively slower might be a low voltage running to the unit stemming from issues with the control board or the circuits. If the electrical aspects check out, the fan blade may have come loose from the motor shaft or the capacitor may also be causing issues with the slow moving fan. With slow operating blades, Air Supply Heating and Air Conditioning can ensure the problem is rectified. 5) Struggles Starting: When the air conditioning fan has a problem getting started is often the fault of the capacitor. The power is on but the fan doesn’t rotate freely it could be the sign of a bad motor bearing. A bad bearing will also result in the fan blade running wobbly or lopsided turning once it finally starts. Air Supply Heating and Air Conditioning is more than capable of making the repairs necessary. 6) Unable to Stop: A fan running for a short time after an air conditioning cycle will make the compressor motor stop, but a fan that keeps winding excessively suggests that there are problems in the circuit board or with the wiring. Air Supply Heating and Air Conditioning can make the repairs quickly and efficiently. Whether your Las Vegas, Nevada home or business’ air conditioning fan is on the fritz or not working at all, Air Supply Heating and Air Conditioning is readily available to get the fans operating at peak performance.